This post has been long in the making. 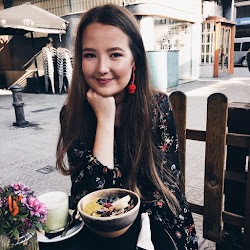 I pre-ordered this lipstick because I was really excited about the collection, then I was so busy with my thesis that I couldn't wear it because I had to take photos first –blogger struggles-. And now the lighting is so bad outside that every time I want to show you the way it looks on my lips it's too dark. 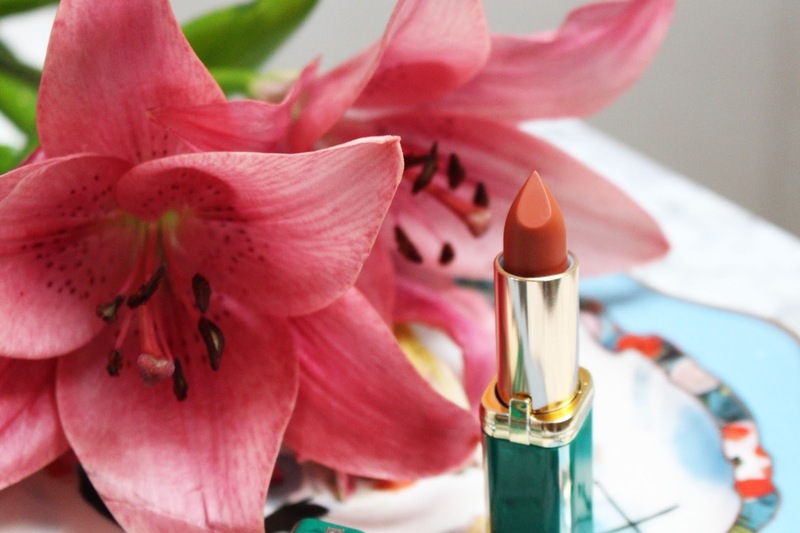 Anyways, here I am with a full review of one of the nicest colours from the L’Oréal Paris X Balmain collection. It was quite hard for me to decide which lipstick to pick. Since I wanted to not spend all my money on the entire collection I set my eyes on just one. Better said than done when you are a lipstick junkie like me. After spending a lot of time looking at swatches and colours I ended up choosing the colour 468 Fever. A warm red orange colour that got my attention right from the start. First of all, I LOVE the packaging of these lipsticks. I would not expect any different as mister Balmain himself, Olivier Rousteing, designed them. There are three different themes in this collection (Safari, Rock & Couture) and each theme has their own colour. 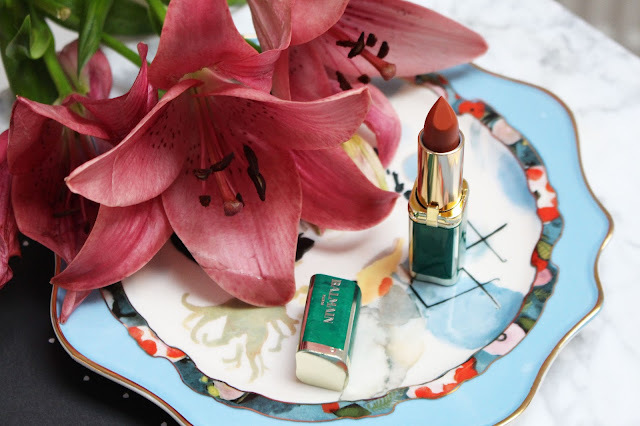 As this lipstick is part of the Safari collection, the lipstick comes in green marble and gold packaging. It complements the orange colour so well and it looks really luxurious. Especially with the Balmain logo printed on the side. The lipstick is supposed to be matte and although they are a mattifying on the lips they don't come near the Colourpop matte liquid lipsticks. Personally I’m a bit done with the Kylie Jenner liquid lipstick trend -even though I have about 25 liquid lipsticks- so I don't mind that. I love how natural these kinds of lipsticks can make your lips look in comparison to the liquid form. It doesn't mean I will never wear liquid lipsticks again; I just need a break I think. 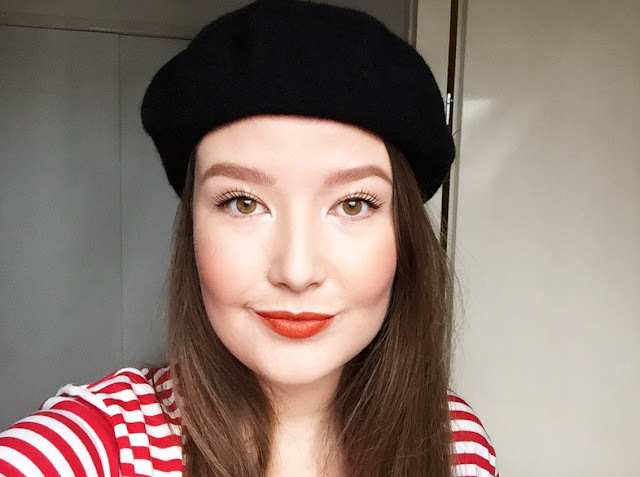 The Fever lipstick is really easy to apply and the orangey red colour has a good pay off. The pigmentation is good and with one swipe I have a full orange pout. It lasts as long as many other lipsticks I own. It won't budge when you don't eat or drink, but since this is me it's quite impossible to not eat and drink all day, so touch ups are definitely necessary. I always get so many complements when I wear this lipstick. It makes me look awake and happy without being too out there as some orange lipsticks can be a bit too crazy. I mean I love me some MAC Morange but not on a daily basis. In summer maybe, but in winter it's a big no no for me. Fever is definitely a lipstick that I will wear more often. It's a perfect all seasons kind of lipstick, it stays on very long, looks good on a lot of skin tones and you'll probably get lots of complements. What's not to like? The collection has been out for a few months now, but I did see them at the L’Oréal counter when I was in London a couple of weeks ago. You have to check them out if you haven't already. Or just have another look, because the other shades are also to die for! Have you tried any lipsticks from the L'Oréal Paris X Balmain collection?